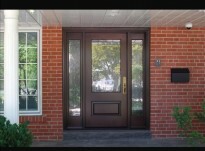 Replacement Doors Kitchener | PM Windows and Doors ""
Entrance Doors – Make the first impression count! Your home is the ultimate statement of your taste, and decorative door lites will only enhance your good judgment. Our doors feature outstanding styling, security, thermal efficiency and comfort for long lasting beauty and easy maintenance. 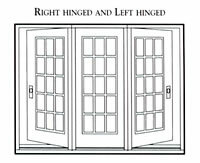 Patio Doors – Superior quality and design! 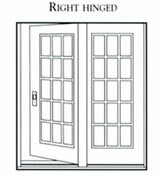 Enhance your rear patio, deck, or garden with a new high efficiency Sliding Patio door. 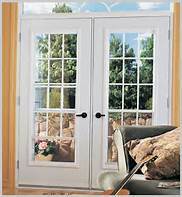 Vinyl Patio Doors are manufactured from PVC profiles that ensure maximum strength and rigidity. 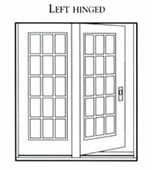 Our Patio Doors are made by the same supplier as our windows and are available in the same matching colours. 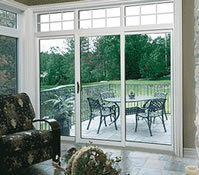 We offer patio doors that will provide you with long lasting quality and craftsmanship you can count on. 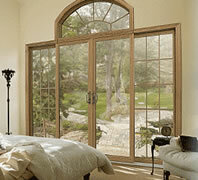 The patio door is designed to withstand extreme climate conditions. Cold, heat, or other weather changes will not affect its excellent performance. Its welded PVC sashes make the patio door the door of choice for comfort and energy savings. The patio door is built with a wood frame combined with PVC profiles for maximum strength and rigidity. The sill is made of reinforced PVC for greater strength. 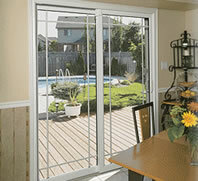 The patio door uses heavy duty aluminum extrusions for the screen. We offer a wide range of options, one of which is sure to suit your needs! 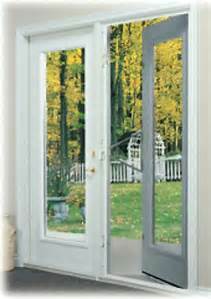 Garden Doors – The perfect patio door replacement! A garden door gives you less air infiltration and added security along with a sliding bug screen. 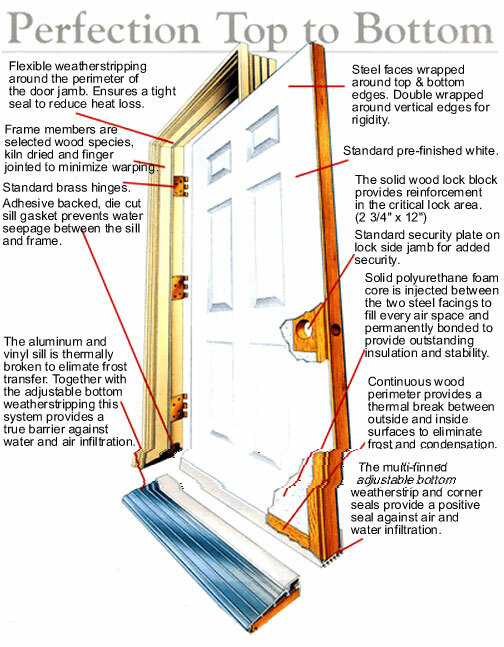 A garden door has all the features of a steel entrance door with the ability to add a deadbolt and decorative or brass glass. A garden door can only enhance the beauty of your rear deck or garden. Limitless design possibilities for any home!